Hello stalwart capsuleers and welcome to another EVE Online dev blog! Today we are happy to be able to begin public discussion of a few significant changes that we are working on for the upcoming March release. These changes touch two interconnected areas of the game that are heavily discussed by many veteran players: jump travel and sovereignty. 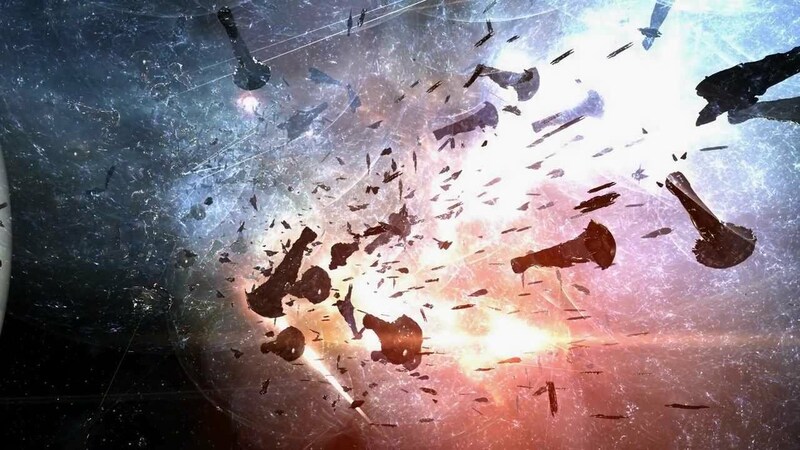 We are hoping that these shakeups can help provide players with new gameplay options to explore and master in their battles across lowsec and nullsec space. This blog will serve as a quick introduction to the proposed changes for March, and we have forum threads set up for each major change where you can find more details and join the discussion. Jump fatigue has been one of the most discussed mechanics in EVE since it was introduced at the end of 2014. 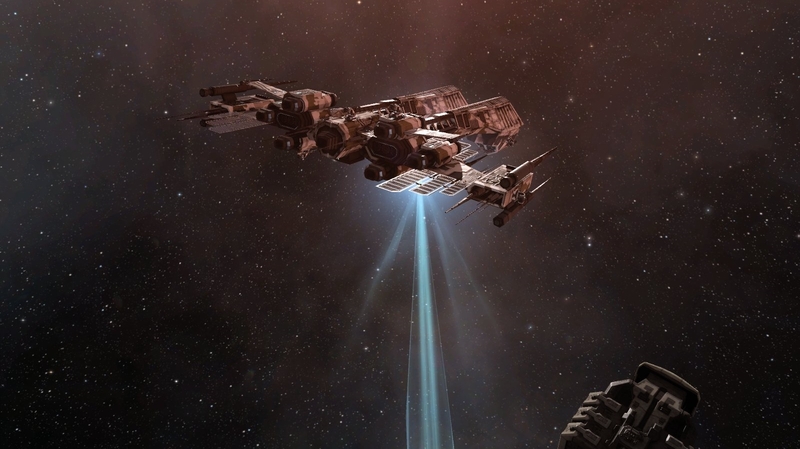 It sits in a difficult spot in EVE's metagame, as it is one of the least satisfying mechanics possible but is also universally recognized as necessary in some form. We spent countless hours discussing this mechanic with EVE players in person at events, on podcasts and streams, through the CSM, and on the forums over the past few years. In these discussions it's clear that although there are many opinions on the direction we should take this feature, everyone agrees that it needs iteration. For the upcoming March release, we are aiming to make a small but extremely significant change to Jump Fatigue that will hopefully reduce the pain of the feature while avoiding a return to the thoroughly dysfunctional capital meta that existed before the Phoebe release in 2014. The current proposed change for March is a 95% reduction in the cap on fatigue accumulation. We would reduce the maximum possible jump fatigue (blue timer) from the current 4 days to 5 hours and the maximum possible jump activation cooldown (orange timer) from 9.6 hours to 30 minutes. In practice, this change would change the optimal jump pattern for long distance travel to jumping as soon as your orange timer expires. Capital ships will continue to have the ability to use stargates as well in addition to their jump capabilities. We are very interested in hearing opinions from the community on this proposed change, and we encourage everyone to check out the forum thread for discussion and any changes to the plan. Alongside the jump fatigue reductions above, we are also looking at making changes to another commonly discussed issue with jump travel. The introduction of Upwell Structures and tethering with the Citadel expansion opened new ways for capitals to move with extreme safety by jumping directly from one structure to another and receiving tethering at both the origin and the destination of the jump. This is a significant increase in safety compared to the previous use of starbases and we have been hearing concerns about this mechanic from the community for the last two years. We are currently planning a change for March that would delay tethering for a short time after a cynosural jump. This delay would not impact docking, so if a ship jumps to an Upwell Structure that is large enough for them to dock then they will still be able to dock immediately after the session change timer. This change would mainly impact the use of medium structures as a safe travel network for combat capital ships. For more details and to let us know what you think of this proposal we encourage everyone to check out the forum thread here. This upcoming March release will also include a set of tweaks to the Entosis Link module and to sov capture events. The primary goals of these changes are to shake up the sov combat metagame and give players new gameplay options to optimize and master. We presented an earlier form of these proposed changes to the CSM at the recent winter summit and incorporated their feedback into the design below. Combined these changes remove the largest downside of activating an Entosis Link (the remote assistance block) while also forcing the linking ships into a much closer area around their target. Being able to remote rep the linking ship also makes it easier to run multiple redundant links which reduces the power of alpha doctrines in sov capture events. These changes reduce the number of node captures required to complete an uncontested event as well as concentrating the starting locations for fights somewhat. We are sure that a great many of you will have feedback to share on these proposed changes, and we're looking forward to discussion in the various feedback threads for each of these changes. Thanks for taking the time to read this dev blog today and thanks in advance for your feedback in the forum threads. These changes will be available for testing on the Singularity test server very soon and we encourage everyone to try them out there and give as much feedback as possible!